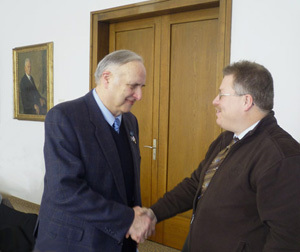 at the annual meeting of DL0DM in the Deutsches Museum in Munich. 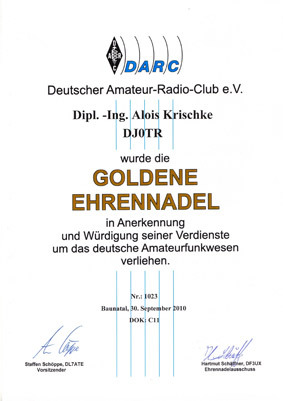 as the highest visible award from the Deutscher Amateur Radio Club (DARC)! Cordial gratulations on this high award!